We are implementing changes to our website, please bear with us! Learning together, growing together; inspiring our children in their journey through life. 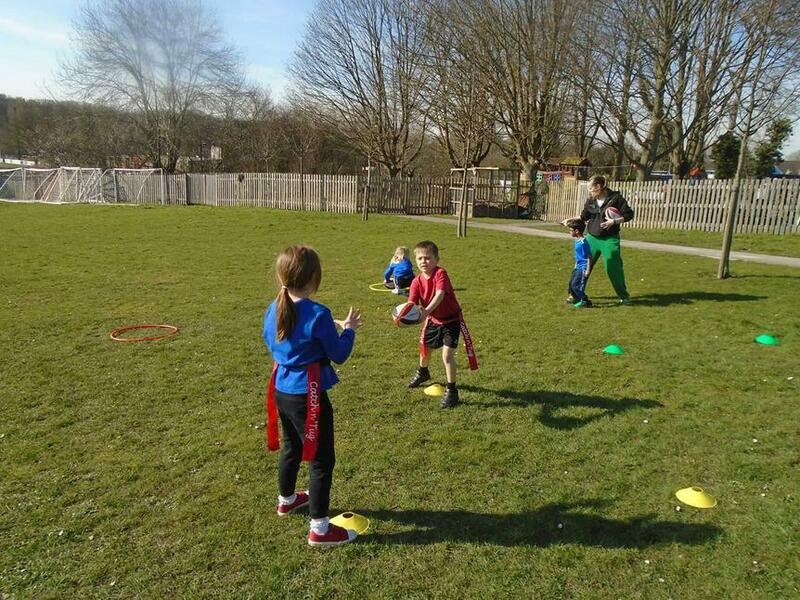 At the end of March we held a Tag Rugby Festival competition between all the classes to celebrate the end of the Tag Rugby season, and to showcase all of the skills that he children have learnt since September. 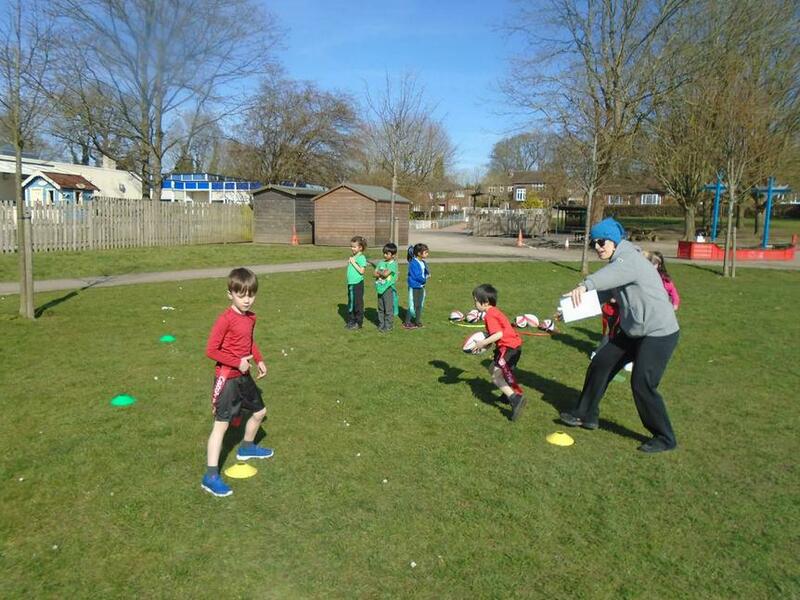 Each class took part in a variety of games linked to Tag Rugby skills and collected points for their team colour. 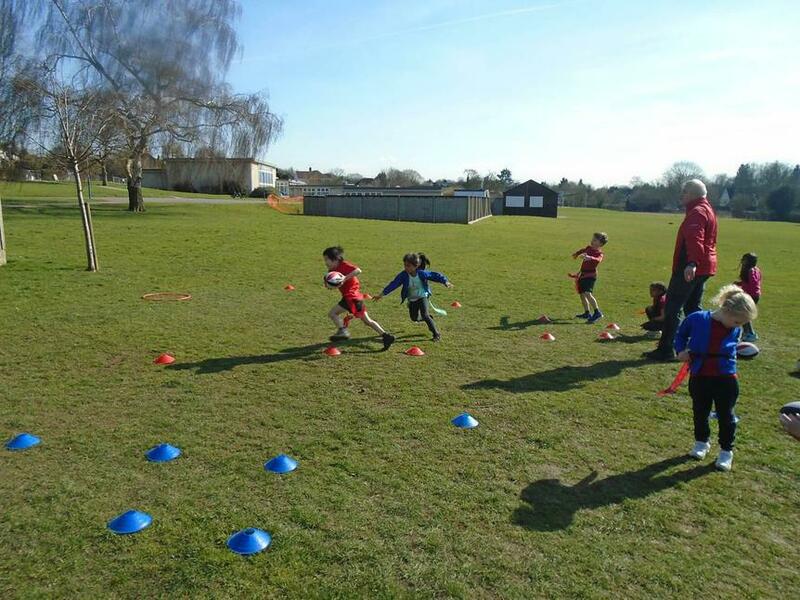 At the end of the week, the points were added up and a winning team announced...the winners were Green Team!